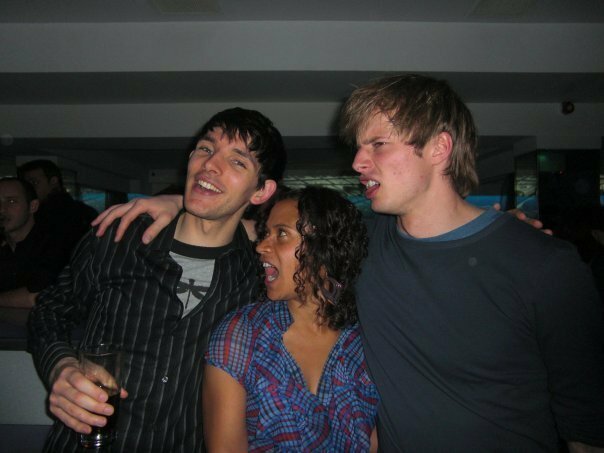 Don't know why, I love this shot, they look like they are all having fun, Bradley and Colin hugging each other, Angel sandwiched in the middle. She's so cute, and tiny between them! And love Colin's inebriated smile! It is a great photo <3 Angel's probably not tiny, presumably Bradley's like 6' and Colin appears around the same height. But yes, she's definitely lucky!